This kind of lifestyle, of course, will have a great impact on your body. Weight gain is just one of the things that you’ll have to reluctantly live with. It can also snowball into more health problems and complications. Diet supplements tend to be some of the quickest remedies, however. Fortunately, there are tons of different options for these, letting you take a pick from all of the promising products in the market today. 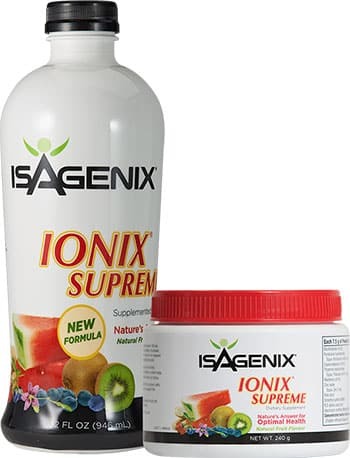 One that tends to stand out from the rest is the Isagenix Ionix Supreme. Offered by the Isagenix Worldwide, LLC, the Ionix Supreme is a diet supplement that has been making quite a buzz among health buffs and health food fans. Its main draw is its promise to help you fight stress, which is one of the most complicated causes of illnesses and health problems today. While some folks may have reservations about the fact that this product is produced by an MLM company, this shouldn’t prevent you from taking advantage of what this product has to offer. Isagenix has already been around for years, which says a lot about the quality of their products. Unlike other MLM companies, they actually produce quality health supplements that people enjoy and find effective, so they’re definitely one of the folks that you can trust when it comes to boosting your wellness. This being said, you can also expect a whole lot more from Isagenix. The Ionix Supreme is just one of their bestsellers, so if you’re interested in getting more from this brand, you can definitely find variety and other offerings from them. So, what exactly is the Isagenix Ionix Supreme? Simply put, it’s a diet supplement that is touted as “nature’s answer to stress.” It comes in two formats: liquid and powder. This makes this supplement very easy to consume as you have options in how you wish to go about in enjoying it. For one, you can get them ready to drink in 32 oz bottles. Due to their large size and relatively concentrated formulation, downing the whole bottle in a day isn’t exactly the best way to consume this product. It’s best taken as shots, giving you a boost of wellness in just one sip. As all you really need to do is to drink it, you won’t have to fuss about preparing it anymore or looking for a beverage to push it down. The powder format, on the other hand, is available in single-serve packets and 240 g canisters. You just need to dissolve them in water and consume them whenever and wherever you like. It can be a more convenient option for those who aren’t big fans of storing multiple bottles at home. This option can also help you tone down the waste you make as well as save a few bucks to make your new healthy habit more cost-effective. You can also add mix the Ionix Supreme to the IsaLean Shake or IsaLean PRO if you wish to. Doing this can give your weight loss regimen a nice boost while making the supplement’s consumption a lot easier as well. Recommended for daily consumption, its flexibility will let you easily add its consumption to your busy schedule. As it’s as easy as chugging down a glass of juice, it shouldn’t be a chore to do. However, as it has a natural earthy taste, it can be a bit of a challenge to actually enjoy. Once you get past the taste, though, it will all be worth it as it will leave you feeling fresh, energized, and ready to take on the day ahead. As the “nature’s answer to stress,” the Ionix Supreme can be the perfect addition to your diet if you live a highly stressful lifestyle. However, understanding stress is still essential if you want to effectively combat it, especially since taking a daily supplement is just a part of a bigger routine that will truly let you manage your body’s reaction to such. Because stress is one of the most common things people experience in their day to day lives, it’s also one of the most neglected causes of health problems. It might seem innocuous and mundane, but stress is a serious matter that can really affect your health in the worst possible ways. Sure, for some, it tends to go away after a while, but there are also those who can’t just shrug off stress and turn off their worrying in a snap. This can have a major impact in our body, causing many processes to malfunction or even shut down. Not all kinds of stress are bad, however. Your stress hormones actually help protect you during an emergency. When faced with a particularly stressful event, your stress hormones will signal your body to get into the fight or flight mode, letting you immediately react and cope with the situation. These hormones tell your body that you have to act quickly to save yourself from harm. However, the negative kind of stress known as “distress” can get especially awful when it keeps firing the stress signals all the time. This can get your body into overdrive and cause serious problems. Known as chronic stress, it can take a toll on your health. The worst thing about stress is that you don’t always get to recognize its effects right away. Most people are just too used to cramming multiple activities in one day, trying to meet deadlines, and worrying about millions of things all in one day so some people think that stress is just a normal part of their routine. Being irritable, anxious, and depressed are often just dismissed as a result of tiredness. Then you start to get nagging headaches and lose sleep, which are already two of the most significant symptoms of chronic stress that some folks think will go away on its own in time. When ignored long enough, though, it can progress to more serious problems like psoriasis, diabetes, acid reflux, constipation, and fertility problems. It can also increase your risks for muscle injuries, stroke, and heart attack. Then there’s also the fact that there are lots of different kinds of stress one experiences on a regular basis. Sometimes, you’re already physically stressed and you don’t know it yet until you get really emotionally stressed that everything will just start to ache and your body will just stop functioning like it should. All of these stressors can pile up and cause even more worries, making things way worse, making it vital to deal with the stress right away. All of these are good reasons why understanding stress is essential. If you’re capable of spotting stress symptoms a mile away, you’ll be able to manage them more properly. Sadly, not a lot of people have the capability to do so nor have the time to actually pay attention to such small things. 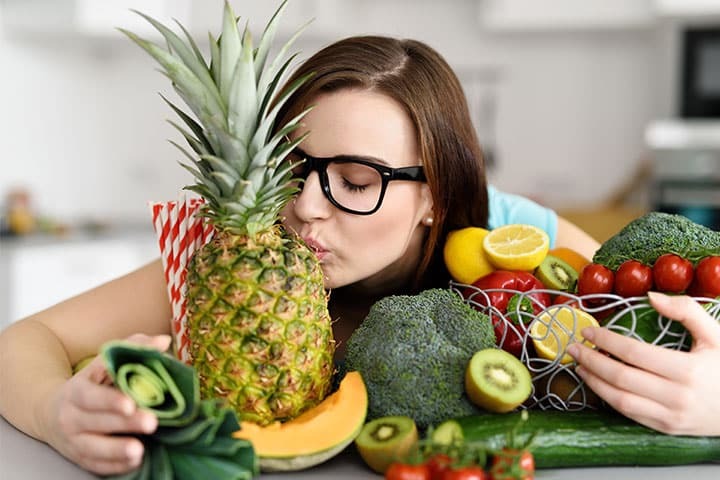 This is why dietary supplements like the Ionix Supreme are becoming some of the best alternative solutions to necessary lifestyle changes that you just can’t enforce right away. Being a health supplement, it shouldn’t come as a surprise that the Ionix Supreme also has something special to offer. According to Isagenix, this product is “nature’s answer to stress” and combats the negative effects of physical, life, and environmental stress. While these are not therapeutic claims that are proven and approved by the FDA, these products are guaranteed to help alleviate the impact of stressors on the body, just like other natural dietary supplements today. What sets it apart, however, is the ingredients and manner how the product helps the body deal with stress. With less stress and better health, you can think clearer and make better decisions. You can also stay alert and at the top of your game without any kind of worries. If you’ve ever suffered from always being distracted, groggy, and forgetful, this can be a quick solution to your woes. If you’re stressed and haven’t been sleeping well, you’ll definitely feel tired and perform less than what you’re capable of. By fighting and resisting stress, you can be at your best condition and perform your tasks more effectively and efficiently. Stress can affect your immune system, leaving your body incapable of healing itself fast enough to avoid any other infections and problems that can take place. By boosting your resistance to stress, you can also ensure that your body will be able to recover from ailments or tiredness after an intense workout. This will also let you do more, as you’re more capable of handling physical tasks without a hitch. Stress can make your bodily systems go into overdrive, which can be hard to reset on its own without taking drastic steps to address the stressor and the habit that triggers the stress. As a part of a major scheme to manage chronic stress, the Ionix Supreme works in normalizing your body functions. It ensures that everything is in proper working order, so you don’t have to worry about stress getting the better of you. The Isagenix Ionix Supreme works by combining a few different ingredients to effectively balance your body’s systems. This will then contribute to strengthening the body’s capabilities in fighting and resisting the effects of stress and improve your body’s performance to keep it in top shape. With over 100 vitamins, herbs, and minerals, the Ionix Supreme ingredients are carefully selected and combined to combat stress. It’s main components are nine adaptogenic herbs, antioxidants, and other fantastic ingredients that contribute to effective stress-busting. Anyone who has already tried a health supplement or two might feel weary about adaptogens as they sound like a buzzword thrown into the mix to make the product sound fancy. While it does make the Ionix Supreme sound very scientific and technical, it’s also a very simple and effective concept that is useful in decreasing one’s sensitivity to stress. Defined as a type of substance that helps stabilize physiological processes that can result to homeostasis, adaptogens are mostly herbal ingredients that help the body adapt mostly to stress. It can improve the health of your adrenal system, which is the major regulator of stress hormones. By enhancing your body’s coping ability towards two of the most common manifestations of stress – fatigue and anxiety – this substance can really bolster your resistance to stress. This substance got its name from its capability to “adapt” their performance according to the specific needs of the body. It works by keeping your systems in check when stressed and making sure that your physiological functions stay in their ideal levels. A lot of people liken them to a thermostat for your stress levels. It will detect whether your stress levels are increasing and work towards lowering it to its ideal levels so your body won’t get harmed in any way. Simply put, adaptogens help balance, restore, and even protect your body from the harmful effects chronic stress can cause. Ionix Supreme has nine adaptogen herbs that guarantee its ability to fight off stress: Siberian golden root, ashwaganda root, maca extract, tribula terrestris extract, Siberian ginseng, schizandra extract, wolfberry extract, rhododendron caucasicum, and Nepali shilajit. Antioxidants are also known stress-busting and anti-aging substances so it shouldn’t come as a surprise that the Ionix Supreme is loaded with this ingredient. They help keep free radicals in check and prevent them from damaging cells that can worsen stress and even cause serious chronic diseases like cancer and other heart and age-related ailments. With a good dose of alpha-lipoic acid and other antioxidant-rich extracts, the Ionix Supreme gets to have an extra anti-stress boost. Aside from adaptogens and antioxidants, a lot of Isagenix Ionix Supreme reviews also note that this health supplement also help deal with other complications stress tends to bring. It helps boost your digestion with its bamboo extract that is rich in amino acids as well as vitamins B1, B2 and C. It can also help get your sexual drive back on track with its aphrodisiac herbs like the schizandra extract, velvet bean, ginger extract, Siberian ginseng, maca extract, and ashwaganda root extract among many others. Like other supplements, the possibility of experiencing Ionix Supreme side effects shouldn’t be completely ruled out. Even if this product is loaded with natural ingredients, there are still some reactions that your body can make after you take it. Especially since it is loaded with different ingredients, you might have certain sensitivities to certain components. Apart from this, other common side effects to just about any health supplement that can also be caused by the Ionix Supreme are headaches, niacin flush, and nausea. Headaches are perfectly normal when doing cleanses, so it can also take place when adding Ionix Supreme to your diet. It can detoxify the body, so some dizziness and nausea will be a natural reaction of the body. Some might also experience getting some red spots and splotches on their skin. This is called a niacin flush and is a normal and safe reaction to consumption of products that contain niacin. It won’t harm you unless you’re allergic to niacin, in which case, you should just skip the product altogether. With stress being one of the most common things most people experience every day, lots of us tend to ignore its sign and trudge on. It’s just how you live life, as some people will say. You live with stress and eventually, it will go away. While in most cases, you do get to address your major stressor, there are also those instances where it just won’t go away. Depending on what’s causing it and whether you’re already too chronically stressed to be fully capable to stop worrying about things, stress can still overwhelm you. Being able to deal with stress effectively, however, will really let you come out on top. You’ll be in better shape, not only emotionally, but physically as well. The Isagenix Ionix Supreme can help you in achieving this. 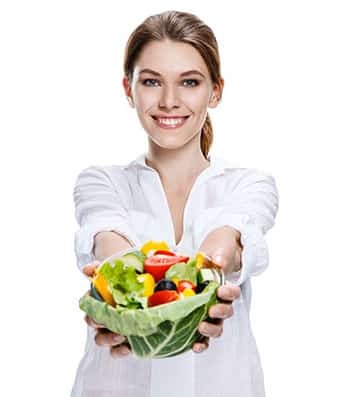 Easy to consume, effective, and a great supplement to most weight loss regimes, this product might just be the very thing you’re looking for to effectively deal with chronic stress and live a better life.